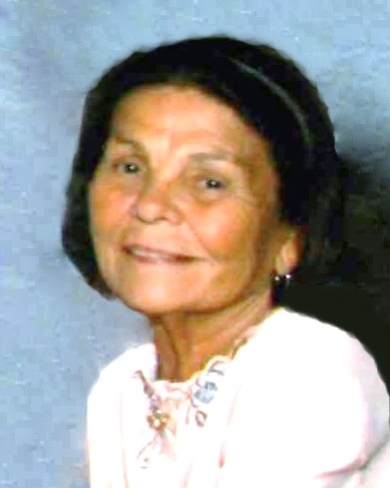 Jeannette D. (Cyr) Clark, 88, of Dracut, passed away Sunday, March 24, 2019 at Mary Immaculate Nursing and Rehabilitation Center in Lawrence. Born in Manhattan, NY, she was the daughter of the late Guy and Eva (Paquin) Cyr. A long-time resident of Dracut, Jeannette and her husband raised eleven children together. She loved bingo, traveling, spending time with her many grandchildren, and enjoyed trips to Foxwoods and Las Vegas. Jeannette was predeceased by her husband, Gordon Clark, Sr.; her children, Gordon, Jr. and James; and her siblings, Theresa, Rita, Lorraine, and Roland. She is survived by her children, Michael and his wife, Rita of FL, Dennis of Derry, NH, David of Hampton, NH, Thomas and his wife, Deborah of FL, Brian and his wife, Linda of FL, Robert and his wife, June of Dracut, Kevin and his wife, Dottie of Derry, NH, Janet Sousa of Winthop, MA, and Donna Baviello of Dracut; daughter-in-law, Dale Clark of Salem, NH; brother, Donald Cyr and his wife, Sharon of Lowell; sister, Claire Denoncourt of KS. She also leaves thirty-three grandchildren; forty-nine great-grandchildren; and many nieces and nephews. Relatives and friends are respectfully invited to attend visiting hours on Wednesday, March 27, 2019 from 4:00-8:00 PM at Cataudella Funeral Home, 126 Pleasant Valley Street in Methuen. Her funeral mass will be celebrated at 10:00 AM at St. Francis Church, 115 Wheeler Road in Dracut. Burial will follow in St. Patrick Cemetery in Lowell. In lieu of flowers, memorial donations may be made in her memory to the Alzheimer’s Association at 309 Waverley Oaks Road, Waltham, MA 02452.